Scott Cohen discusses the key factors to consider when orientating a pool, such as views, prevailing wind direction, and patterns of sun and shade. 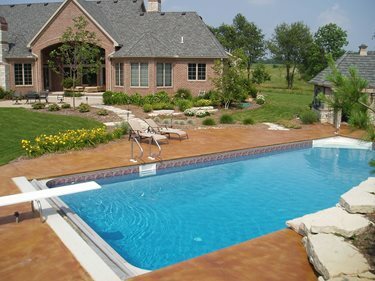 Whenever possible, there should always be a deck area at the pool's northeast or northwest corner (depending on the region of the country and angle of the sun) to take advantage of afternoon sunlight reflecting off the pool's surface. Keep in mind that the sun angle swings widely over the course of the year.